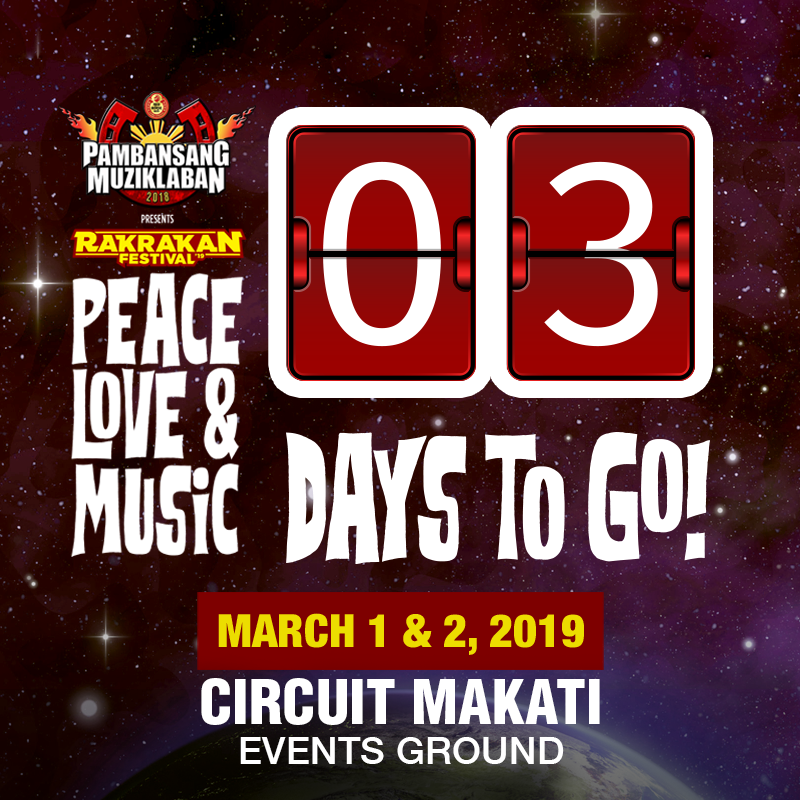 Gusto niyo bang makatugtog sa Rakrakan Festival’19? Ito na ang pagkakataon ng banda niyo na maipakita ang tugtugan niyo! 1. Like and follow Dickies Philippines Facebook Page. 2. 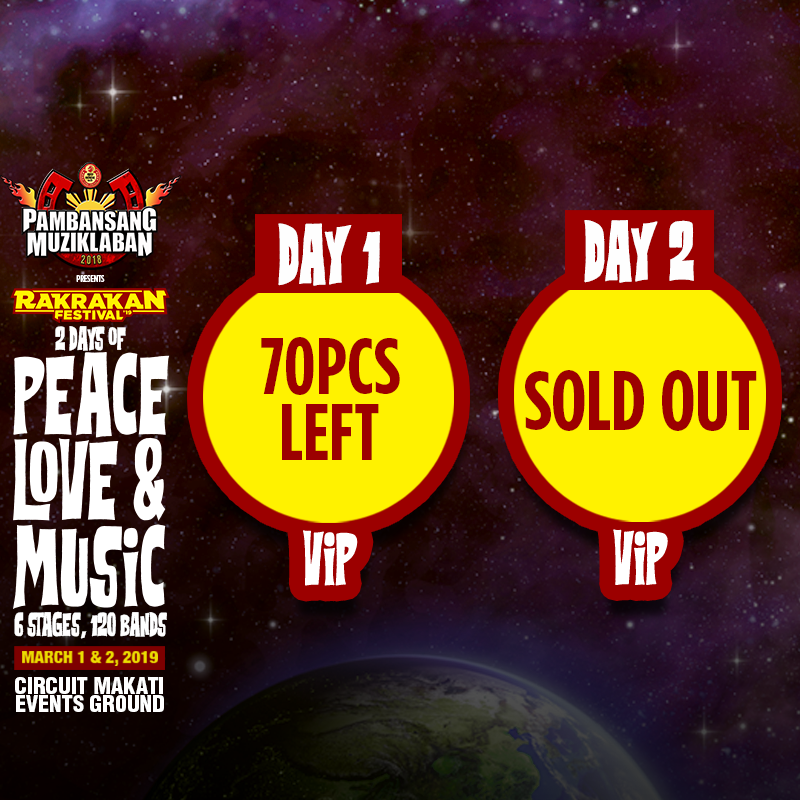 Register at rakista.com as an Artist. 3. 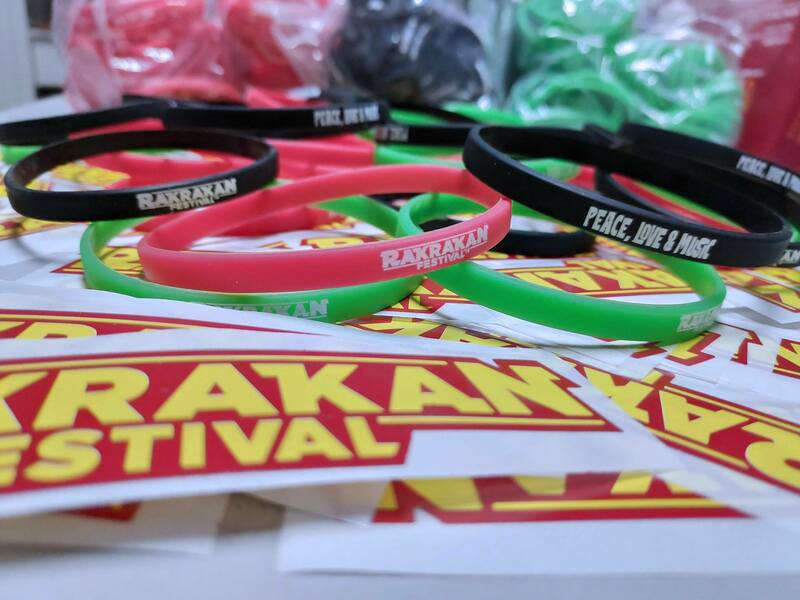 Copy and paste your rakista.com profile at the comment section (https://www.facebook.com/rakrakanfestival/photos/a.481456078658802/1369108906560177/). That’s it! 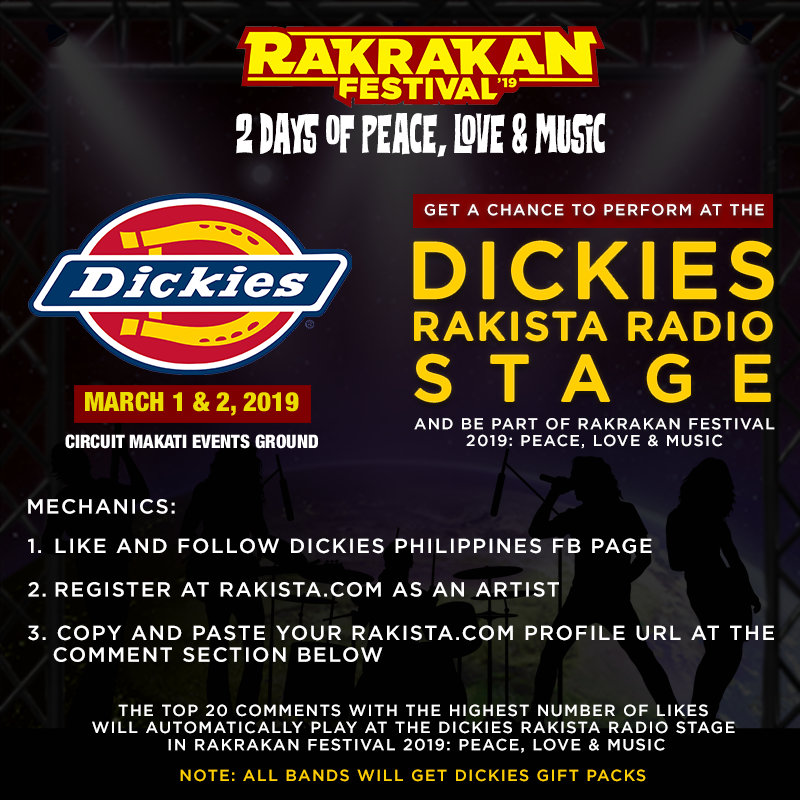 The TOP 20 comments with the highest number of likes will automatically play at the Dickies Rakista Radio Stage in Rakrakan Festival 2019: Peace, Love & Music and will take home Dickies Gift Packs. 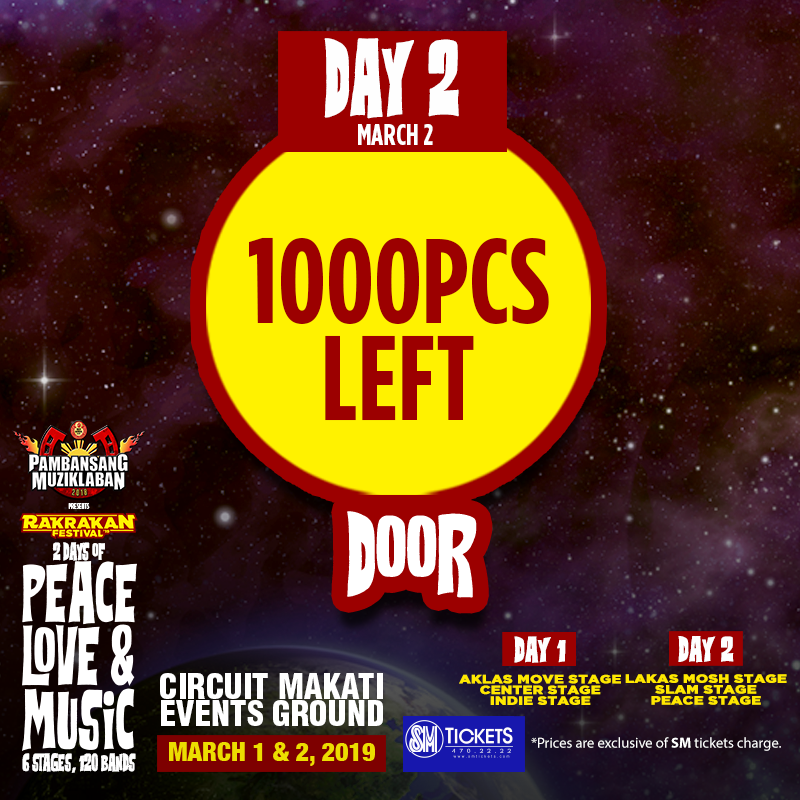 Selection of bands will end on February 15, 2019, at exactly 11:59PM. Good luck! Note: All bands will get Dickies gift packs to wear on stage.